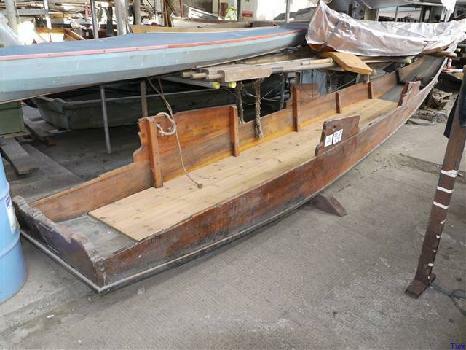 The Hallstattersee Zillen (or Platten) that I wrote about when it was sold at the Turks auction a couple of years back has come onto eBay and failed to sell - the highest bid was £104, below the reserve price. A pity really, as it would be a practical boat for the English canal system as long as the owner was prepared to learn the odd and difficult skill necessary to row it without going round in circles. Rather flatteringly, the vendor cited this blog as one of the sources on this rare and unusual boat, though this might simply reflect the paucity of information on the web. Thanks to Brian Pearson for the heads-up.